Real Estate Sellers - The Law Office of David R. Rocheford, Jr., P.C. If you’re selling a home, it’s just as important to have an experienced real estate attorney assist with the transaction as it is for someone buying a home. Although the seller generally does not have to be concerned with disclosing every bit of information about the property they are selling, a savvy attorney assisting the buyer can include specific provisions in the purchase and sale agreement that can come back to cause problems for the seller long after the sale. This could end up exposing you, the seller, to expensive liabilities you had no idea about at the time of the sale. In fact, you, the seller, can be exposed to a host of liabilities such as lead paint or asbestos issues, septic system disclosures (see below), and more. Fortunately, we’re experts in Massachusetts real estate law and we can help you avoid the not-so-obvious potential problems that could jeopardize your sale. When we represent you, the seller, our main goal is to identify and resolve problems before they cost you money and valuable time. We’ll help you successfully close your sale and handle all the documentation for the transaction so that the entire process goes smoothly and on time, with no unpleasant surprises. We accommodate your schedule, not ours. Selling a home can be stressful enough without the additional headache of trying to work around your attorney’s schedule. That’s why we work around yours. From title searches to closings, we make ourselves available when you need us, not when it’s convenient for us. And to ensure that everything happens without a hitch, we communicate with our clients clearly and often to keep them informed. To make the process even easier, we offer highly-competitive, guaranteed flat fees for all of our real estate transaction fees so you know upfront what your cost will be. We even offer flat fee options for other services, including buyer and investor representation. Provide your real estate sales transaction information online, quickly and easily. If our office is representing your buyer’s mortgage lender, use our convenient and secure online form to provide us with the details of your sales transaction. The form is safe and secure and will enable us to process your transaction more efficiently. If our office is representing your buyer’s mortgage lender, and you would like more information about what we will need from you regarding your closing, visit our Buyer Information page. The information here will help answer many of your questions and guide you through the process. To ensure that your closing takes place as efficiently as possible our office will need your assistance – click here to read more about how you can help. To ensure that septic systems (conventional septic systems, cesspools, and innovative/alternative systems) protect human health and the environment, Title 5 of the Code of Massachusetts Regulations generally requires that systems be inspected when the property is sold. It’s important to ensure that the septic system is functioning properly and meets code to avoid unexpected repair expenses and delays in selling. If you are looking for legal counsel in the sale of your real estate, our office can assist you, provided that we do not already represent your buyer or buyer’s lender. 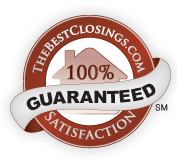 We offer flat fee services for real estate sellers and represent sellers throughout Massachusetts.